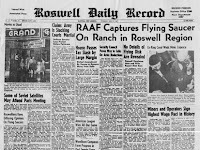 "The Roswell Incident" is a Channel 4 Documentary about the famous UFO crash at Roswell, New Mexico in 1947 where 3 ETs (Only one is believed to have survived the crash later called EBE-1) along with other collected debris were recovered by the US Air Force and taken back to an Air Force / Military facility for further investigation. Over the years there have been multiple official explanations and retracted statements by the authorities, all of which speak of a huge cover up by the powers that be. The Alien Autopsy video is also featured towards the end of the film. After having heard about the physical description of the beings recovered from key witnesses I know the Alien Autopsy video is clearly fake ! 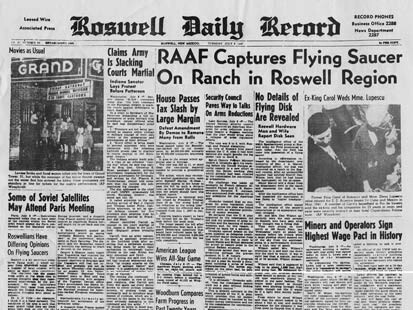 The official story about Roswell has changed so many times that the truth now remains mostly elusive. Did Aliens Build The Pyramids ? Phenomenon : The Lost Archives ~ Genesis Revisited !